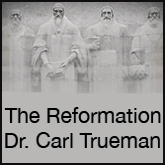 We’ve been spending a lot of time with Martin Luther of late, between Carl Trueman’s Reformation course and some mentoring we’re involved in with our mission organization. Considering the whirlwind of events that made up his life, it’s very interesting to peruse Luther’s comments on the fruit of the Spirit. 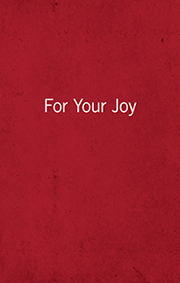 As we read through them, we were struck by his thoughts on joy. Joy is an unusual fruit that actually flourishes when trials and suffering come our way. Paul described himself as sorrowful, yet always rejoicing (2 Corinthians 6:10). In Romans 5:3, Paul says we rejoice in our suffering. Even extreme poverty in the midst of affliction can’t kill our joy (2 Corinthians 8:2). Joy is like a mature tree enduring a storm—the roots go deep so the wind and rain only serve to prune the branches, promising new lush growth in the weeks and months to come. Some people confuse joy with happiness, but true joy is joy in the Lord. If our joy disappears the minute difficulties arise, it was probably joy in something other than the Lord, such as in our circumstances, relationships, or possessions. True joy is produced by the Holy Spirit and His work in our life. It is a spiritual fruit. Only a true Christian can experience true Spirit-birthed joy. with a true, `Yes, Lord, Thou art enough’.